As you may know I am an Plexus Ambassador. Last month I attended my first Plexus Worldwide convention as we celebrated the 10 year anniversary of Plexus in Orlando, FL. I didn’t know what to expect, being with 12,000 other Plexus Ambassadors in a ballroom for 3 days, it was AMAZING! I have always believed in our products and I have always believed in the network marketing business plan. After spending 3 days learning from our CEO and Founder Tarl Robinson and our President and founder Alec Clark as well as many Plexus Jewels, I have now solidified my belief in the company, Plexus Worldwide. I have been trying for almost a month to write about how transformational convention was for me as a person and as a Plexus Ambassador. I cried many times as the Lord touched my heart and spoke to my core. I texted my husband a simple but powerful text through tear filled eyes, “This has been amazing!! Things are changing! !” Things have changed and they still are. While at Convention we released 3 new amazing products Lean-a chocolate mocha meal replacement drink, Slim Hunger Control-an amazing new Slim that is full of fiber in addition to balancing blood sugar, reducing cravings and everything else original Slim did and Joyōme our skincare line was released to the public. We also introduced our Plexus Charities and our first partnership is with Feeding America. Every serving of Lean sold = 1 meal for Feeding America, there are 14 servings in a bag of Lean. We also kicked off the partnership with a donation of $100,000 in less than a month we have donated 1,776,664 meals to Feeding America! More than new product knowledge the Plexus Legacy Convention was about the people, empowering us to grow and become exactly who God created us to be. One of our leaders said something that amazed me, “Plexus is a personal growth company with a compensation plan.” WOW! Yes, we want to share our products with others but we want our people to be the best they can be. This sentiment summed up the entire convention for me. If you are ready to join this “personal growth company with a compensation plan”, to get yourself, your friends, your family healthier and happier there is no better time to start than NOW! From July 4-10 at 6pm EDT you can join Plexus as an Ambassador or wholesale customer for almost half price! 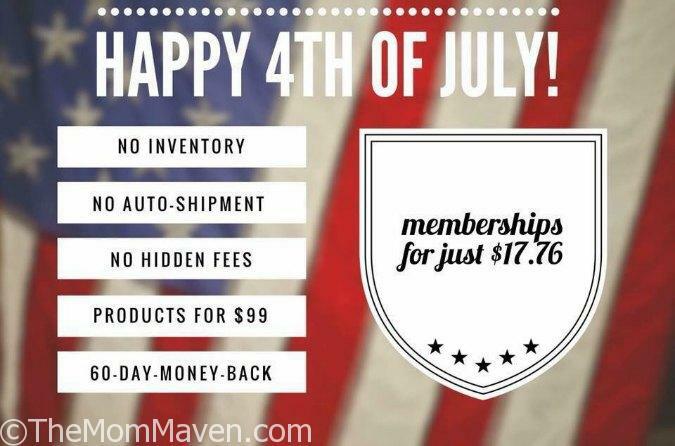 Only $17.76 plus a Welcome Pack will get you started down the road with me by your side. 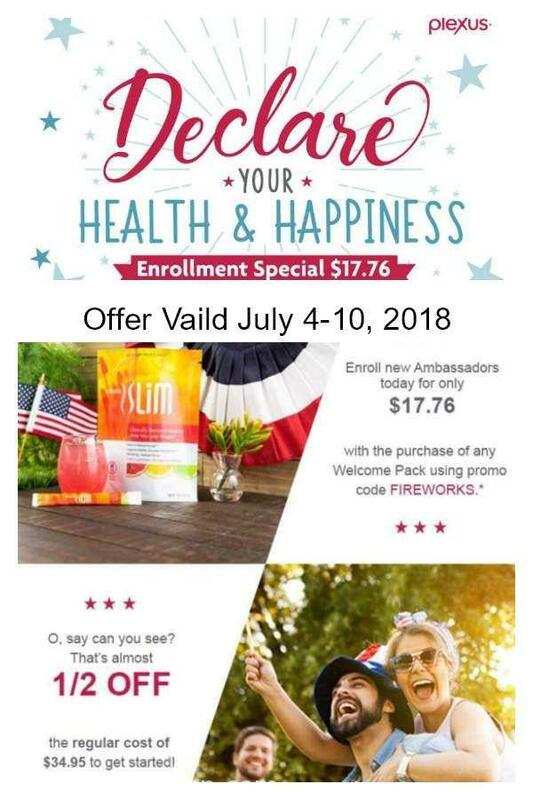 Visit my website, click on ENROLL in the top right corner and walk through the steps, use code FIREWORKS at checkout to receive your discount. If you have any questions please don’t hesitate to email me and put Plexus in the subject, I am here to help.